Beautifully Simple and Simply Wonderful? 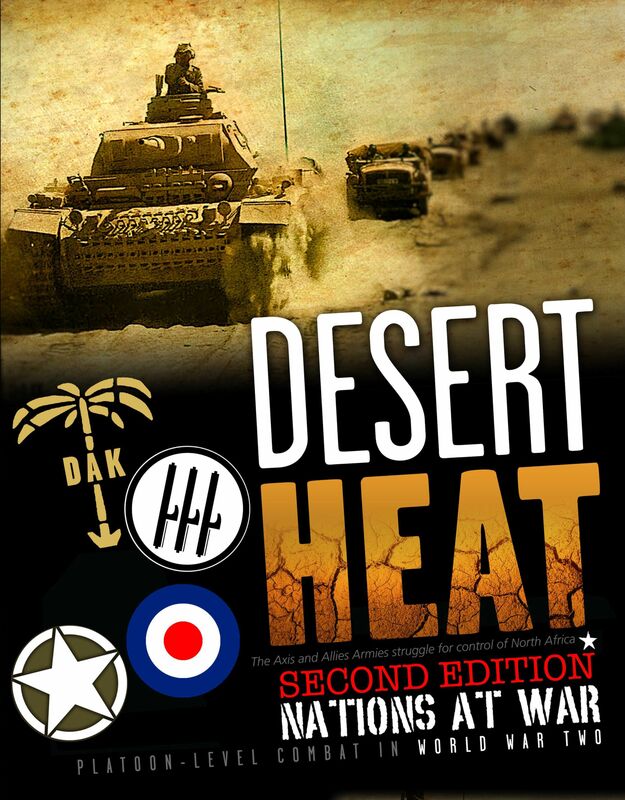 Desert Heat is an entry in the Nations at War series from Lock ‘N Load Publishing, in this case, covering the war in North Africa 1940-43 (in numerous provided scenarios as well as via a scenario design/generation system). To come straight to the point, in many respects it is a striking piece of work. I will offer a few criticisms a little later, but overall the game achieves a remarkable balance between detail, playability, fun, and authenticity. 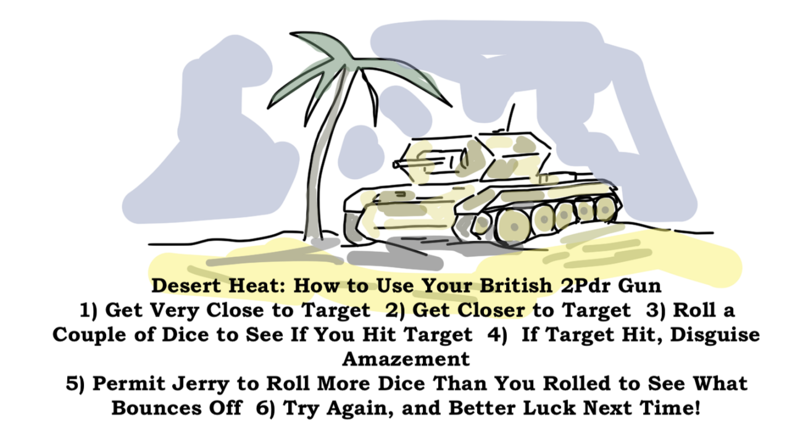 And following on rather naturally from that, if you are looking for a rendering of desert warfare that is valid, quick to learn and relatively quick to play, this design will get it done for you. The achievement lies in not clogging the system with turgid or fussy mechanisms. 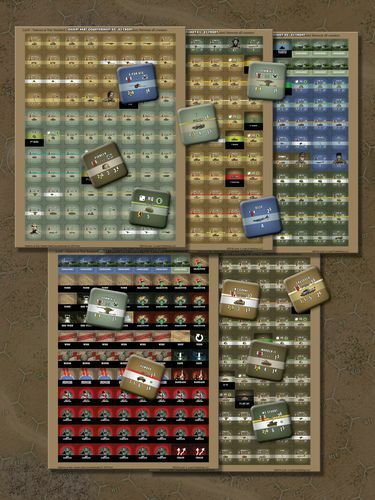 Although individual units, representing platoon level formations, are often liberally adorned with numerical values, it really takes very little time to learn what is what, and then these same numbers plus a bit of dice-rolling will do most of the detailed work, leaving you to savour the challenge of trying to emerge victorious in the face of the chaos and uncertainty the system will throw at you. 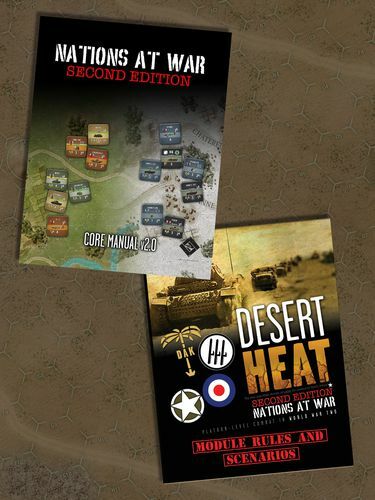 The sequencing of the game is based on chit pulls – formations activate when their chit is drawn, and the sense of existing and impending turmoil is further enhanced by the possibility of clouds of desert dust blowing across the battlefield, as well as a rather clever “chaos” event table offering opportunity and possible disaster as what you thought was happening on the map sheets twists and turns into something else – suddenly vulnerable flanks, strafing aircraft appearing out of nowhere, lapses in command or sudden moments of inspiration. Inevitably (well, at least inevitably for me), the story of the war in the desert is first and foremost the story of tanks and tank duels. 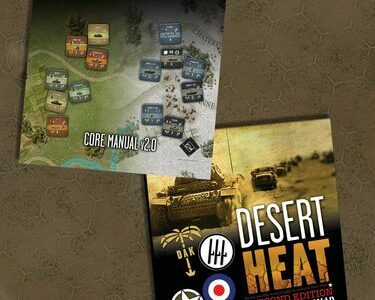 In Desert Heat you not only get a lot of tanks but also a lot of different tank types. And while we are not talking about a level of mechanical profiling that equates with the likes of a Tobruk (a much-loved favourite of mine) or anything relevant from ASL, you cannot put ten or eleven values/ratings on a counter, as you see in this design, and think you are shortchanged in terms of detail. 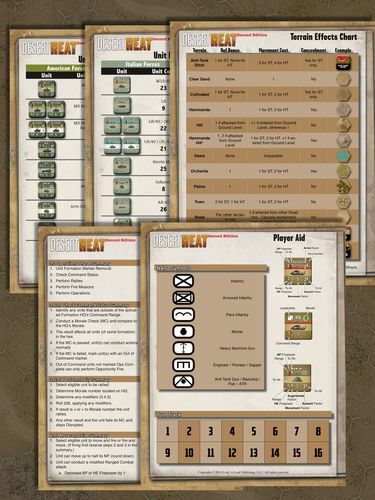 The tanks of Desert Heat are rated for their anti-tank firepower and HE/anti-personnel power, as well as range and ability to hit the target. Their capacity to withstand damage and movement rate/ability is also factored in. What this all means is that the different tank types will feel precisely that – different, one from another. 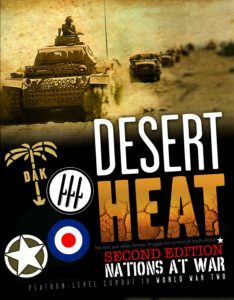 If I allow myself a caustic moment, you will be able to see exactly why the various Panzer III marks did so well in the desert (they did not have much to beat), why the courage and élan of Italian tank crews were so amazing in regard to the inferior equipment they were often supplied with, and why the British and Empire/Commonwealth forces, despite often enjoying a numerical advantage, could not readily overcome the enemy with the mishmash of half-cocked ideas they had put a set of tracks on. 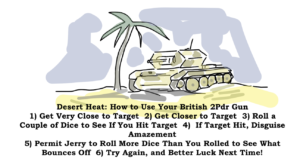 From the British perspective, you will see that range of armour born out of those notorious false doctrines that hung around for far too long – infantry tanks that are too slow, cruiser tanks that are too vulnerable, and nearly every “indigenous” type having a form of armament that is barely sufficient for one job (anti-tank or HE) and totally useless at the other. 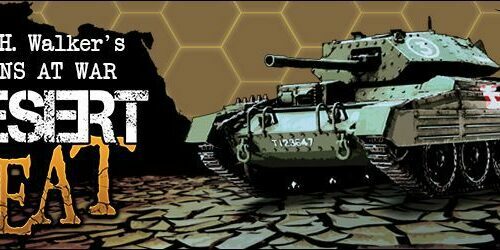 Extra pieces of notation you will find on some units denote range limitations or enhanced firepower (extra die on attack under some circumstances) – the Grant gets such a notation (+) given (I think) the assumed use of two different guns able to engage any given armoured target. And that brings me to one minor criticism of the game – that here and there a note as to why certain things have been done a certain way would have been helpful. For me, this applies to issues such as the Crusader tank units being a tad more armour-piercing capable (rated 3 firepower instead of 2) compared to something like the Valentine. Both tanks, in their best-known marks, were 2pdr beasts. However, both then went into later, up-gunned marks – the Crusader III was fitted with a 6pdr, but that was relatively late (at least as far as I am aware) in proceedings; as for the Valentine, all kinds of engineering jiggery-pokery was resorted to in order to get it fitted with the sort of gun it should have had in the first place, but that was largely beyond the context of the desert war. Therefore, I must admit that without a design note, I do not know why the Crusader has this extra punch – is it a case of generally rounding the thing up to a 6pdr, or perhaps a reflection that it was (when it was working) a niftier, get-into-position vehicle compared to the Valentine? But this is pretty small beer compared to the overall quality of design application on show. Including the tutorial scenario, there are twenty different engagements to work through, and that is before you get to the opportunity to design your own battles. The forces supplied either way have not been skimped on, with the German Afrika Korps, the Italian forces, British and Commonwealth, US and Free French all pretty comprehensively in place with their own dedicated units and supporting HQ structures. And as much as the eye is likely to fall on the armour first and foremost, there are plenty of other unit types available – infantry, headquarters, artillery/mortars, anti-tank guns, etc. You are also provided with the necessary markers for the more static situations – the minefields, wire and the dug-in/improved positions one would associate with engagements such as the Free French on the southern extremity of the Gazala line. Of course, it is one thing to provide the ratings on units and let them tell the story their own way, but what about a sense of national character/doctrine, etc.? Here things are limited but interesting. Again, forgoing silly stereotypes, the Italians can be a little quicker to move into the assault, the British are given some positives around their cruiser tanks (related to their speed), their portee guns and their headquarters’ durability. 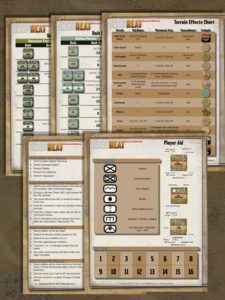 The Americans have a fire and movement enhancement based on the BAR’s quality…and the Germans get Rommel, who helps with a lot of things the German player may want to do. However, while the rule for the Germans and Erwin rather implies that he was even more here, there and everywhere then he actually was, I suspect the relevant provision has merely been given an eye-catching name and is better regarded as a representation of German tactical flexibility than the general/field marshal gatecrashing every battle in the book. Why the Free French get nothing by way of a national positive is a bit of a mystery. The stand of their forces at Bir Hacheim was heroic to say the least, and it is hard to believe they did not merit something. One reason I highlight this is because in so many places this design gets a lot done with an economy of mechanical process – be that chaos and fate (the latter being a game manifestation – used as a points currency – of luck or a transitory moment of élan affecting a unit of formation), artillery missions, AT ditches, wire, unit leaders and a lot more. 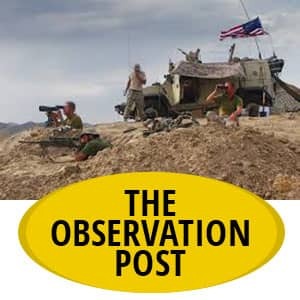 Likewise, the use of battlefield/formation headquarters is effective in terms of how command enables units to fight and sort themselves out if the fighting has gone a bit skewwhiff. So what is missing? Undoubtedly, the designers have wanted to keep this system as clean as possible, but given how robust the basic working framework is, I feel a little bit more nuancing could have been added without ruining the streamlining. One suggestion would be to have nation-specific chaos/fate tables instead of the rather generic offering. In both this theatre as well as everywhere else this system has visited, there was more than enough “colour” on show from different forces to produce tables reflecting strengths and weaknesses, doctrine, and a clutch of other things. 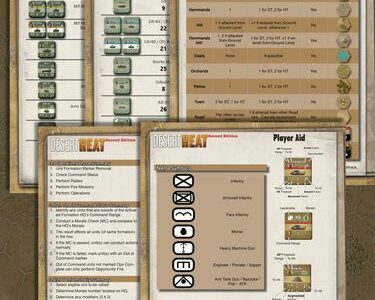 Physically, this is a high-quality design – the unit counters are of the punchboard type, the charts and tables are clear, and the rules and scenario booklets nicely presented. Aesthetically, it is hard to criticize anything without digging into the purely subjective. In that context, however, I would say that for me the overall tone of the counters and the maps is just a bit too dark. There is a sense of “overcast” about the look of things, somewhat suggesting that a rare spot of rain is just coming or just passing. In more practicable terms, it probably does not make it easier for older eyes to pick out all the notations on units. 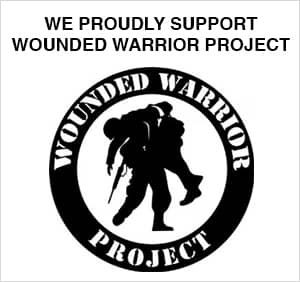 But this is all marginal, open to personal taste, and perhaps plenty of people will see no issue at all. 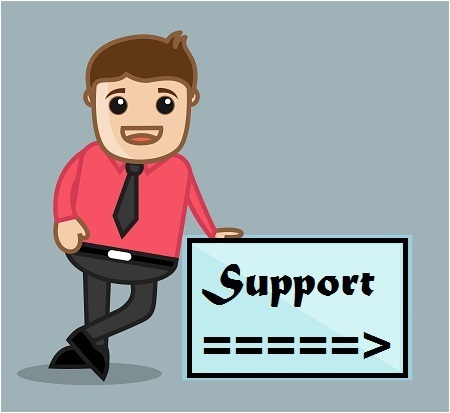 So, minor gripes out of the way, the abiding positives are that here we have a design that is very easy to learn and which gets a valid job done. 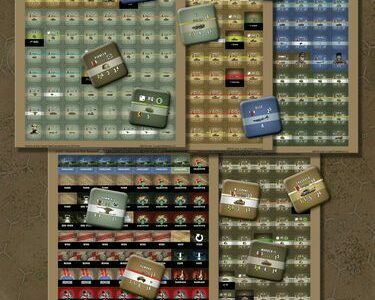 The components are tactile and nicely conceived in most regards; there are plenty of varied scenarios and plenty of fun. 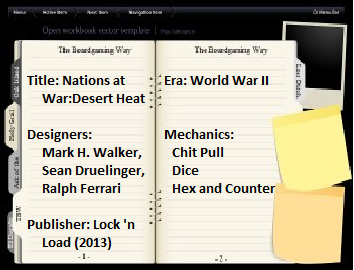 In truth, while there are other tactical systems for the desert that are perfectly acceptable each in their own way, if you want to keep things light but not superficial, this a sound option to go with.